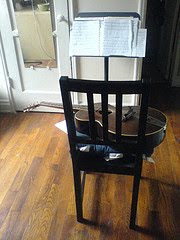 The Not Playing Guitar archive is gathering quite a lot of articles on guitar practice routines. This page provides a handy index to make them easier to find. I'll be updating the list from time to time as more posts appear so remember to bookmark this page for future reference. Be informed about future posts on this topic for free. Register for updates from Not Playing Guitar delivered by email or to your RSS reader. Guitar article writing: Gary Fletcher writes quality, original guitar content for your web sites. Discover guitar writing services for guitar web sites, blogs and newsletters. Visit http://www.writescribe.com/guitar/ to learn more. ...great practice list and thanks for posting. It looks like I need to get to practicing.